28 Aug 2018, 10:45 p.m. In February of 1973, a group of eight American climbers and one Argentinian guide set off to climb the Argentinian mountain Aconcagua. Although all were experienced and capable climbers, a series of misfortunes led to most of the party being taken ill, and two of them dying. The events near the mountain's summit were further obscured by the altitude-induced hallucinations of the survivors—not to mention the condition of the bodies once they were finally recovered. 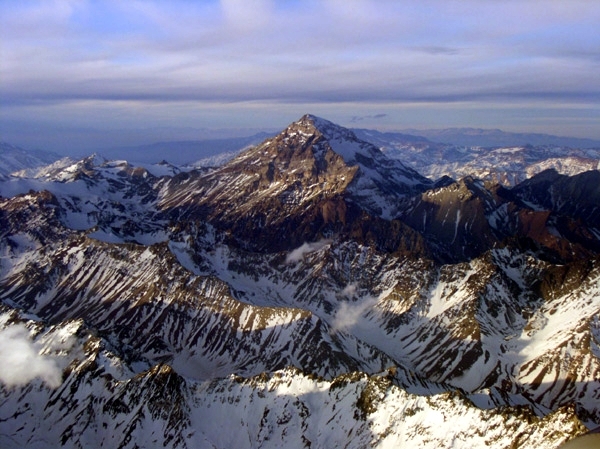 Aerial view of Aconcagua, by Beatriz Moisset [CC BY-SA 3.0 ], from Wikimedia Commons. "Cooper is sitting near the paved road, near the trees." "Janet has been taken away by the women who came on mules"
Of course, no one had ever paved a road up on Aconcagua, a 6,960-metre mountain. There are no trees at that height either. The women were never found, and nor were their mules—though I was left with the strong impression that the rescuers had searched for them. When I went searching for the facts behind these evocative phrases as an adult, I found little more than a few posters on forums who remembered the same outline as I did. One had the book to hand (Marvels and Mysteries of the Unexplained by Nigel Blundell and Alan Hall) and had posted a summary of the case. That at least confirmed that something had happened. It gave me some keywords to search for, but still there were few results. Janet Johnson and John Cooper died in the 1970s—before the internet and online news— in Argentina, a Spanish-speaking country. If you sink some time into it, it's possible to find out (some of) what happened to them, but tough to form an overview. What's more, even in so-called archives, information disappears. The "best" article I bookmarked in 2012, when I first looked into this, has gone; who knows now what it said? All this makes the story of their deaths a great example of why I started this project. I've synthesised the account below from the sources I could find, and saved a copy of each one. The American climbers who came to Aconcagua were mostly members of the Mazamas Mountaineering Club, based in Portland, Oregon. 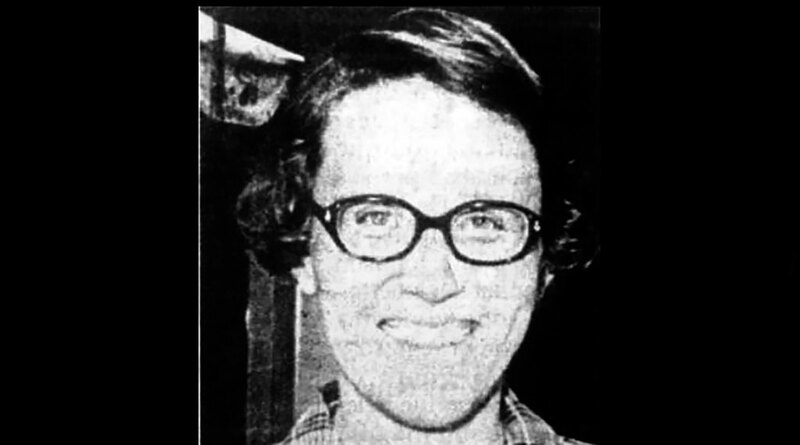 The leader was Carmie Dafoe Jr., a lawyer, and the other club members were psychiatrist James L. Petroske, doctor William Eubank, geology student John Shelton and Arnold McMillan, a rancher. Three of the group had joined just for this trip: William Zeller, a police fingerprint expert; John Cooper, an engineer for NASA; and Janet Johnson, a teacher from Denver, Colorado, who is also referred to as 'Jeannette' Johnson in Spanish-language reports. Janet Johnson, origin unknown, via Centro Cultural Argentino de Montaña. 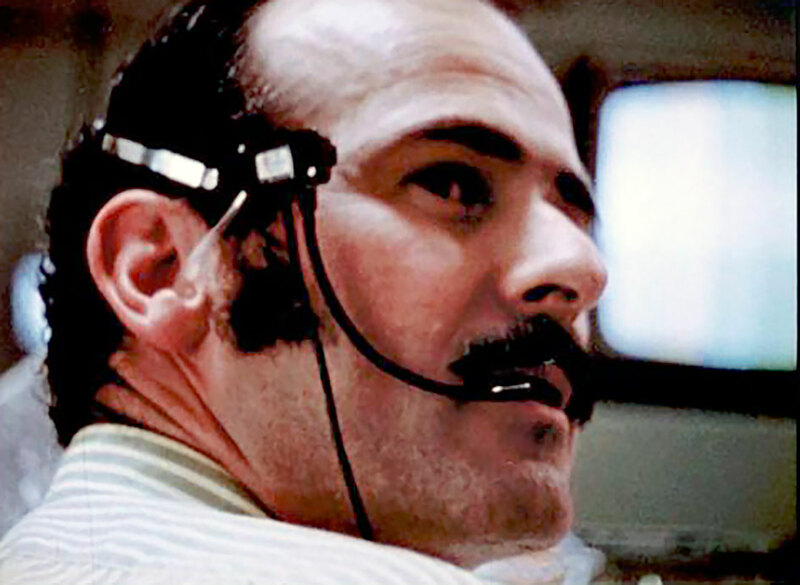 John Cooper: a screenshot from the NASA documentary, On the Shoulders of Giants. 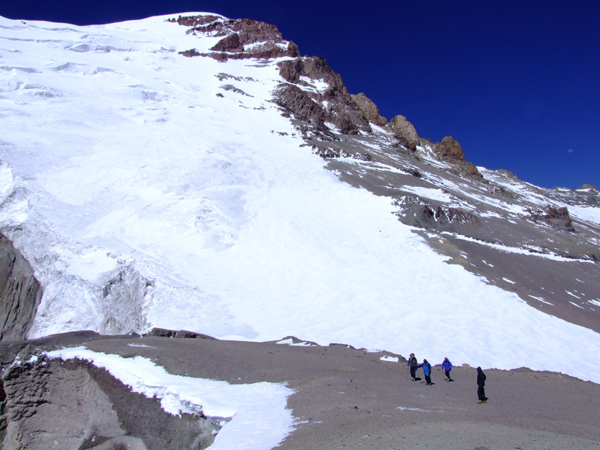 The group took on a local guide, Miguel Angel Alfonso, who had already been to the top of Aconcagua six times. Although the mountain is the tallest in South America, it's "arguably the highest non-technical mountain in the world, since the northern route does not absolutely require ropes, axes, and pins" (Wikipedia). The group's chosen route, however, was via the Polish Glacier, which is more difficult. They set off on January 19, 1973. It was summer, but the weather high up on the mountain was nonetheless very cold and their progress would be impeded by storms. The group had tried to acclimatise before starting the climb on Aconcagua, but Eubank and Dafoe still had to turn back after just six days, suffering from altitude sickness. Shortly after, Shelton stopped climbing as well. Petroske was the next to succumb, having reached a height of 19,000 feet (5790 metres), where the party set up their camp III. He became confused, disoriented and even aggressive, and Alfonso felt it necessary to accompany him down to the base camp rather than letting him descend by himself. That was on January 28. Zeller, McMillan, Johnson and Cooper remained on the mountain and climbed to a height of 20,000 feet (6100 metres) before digging a snow cave to sleep in overnight. The next morning, Cooper felt unwell and decided to go down to a lower camp. The final three still felt confident in their ability to finish the climb. Trapped at base camp by bad weather, Alfonso was trying to watch their progress through binoculars. He later reported seeing three figures, one—probably Johnson—racing ahead, while the others were slower. According to Zeller's later account of events, though, the day was a harder physical challenge than they had expected. By 9.30 at night, they were within sight of the summit but could go no further; it was clear that they had to give up on reaching it. It was at this point that Zeller began to hallucinate, seeing a construction truck on top of the mountain, and Johnson collapsed for the first time. McMillan and Zeller roused her and the three of them slept that night on a ridge with no tent. "There were other people there," Zeller said later. "I had the distinct impression others were there trying to help get her down. I heard voices. It didn't strike me as odd at the time." I find this an interesting complement to other accounts of a "Third Man", which usually accompany successful survival attempts. 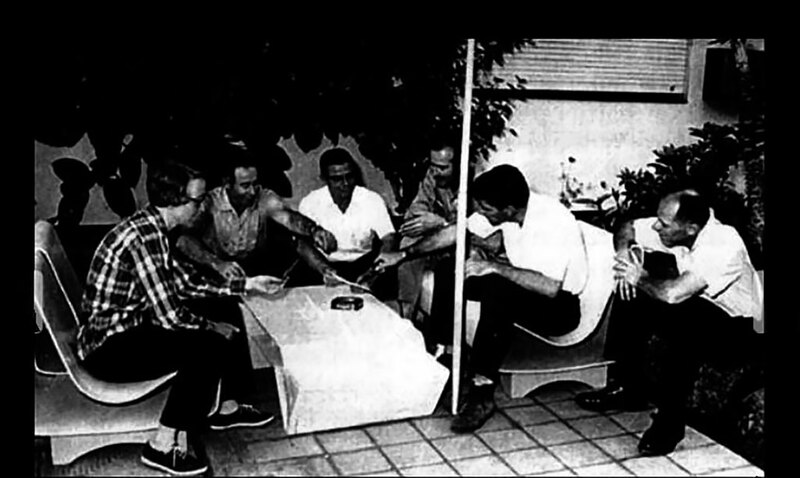 The next morning, the three apparently agreed that McMillan would go down to camp III as quickly as possible, while Johnson and Zeller followed, roped together. Johnson was struggling, falling several times and at one point asking Zeller to just leave her to sit and die. He refused, pulling her along until they were just ten minutes from the camp and could see that the tents had been destroyed by the storms. Johnson had fallen a last time and swore that she would come down after a brief rest. Zeller, having checked her for broken bones, left her there and continued. On the way he passed the frozen corpse of John Cooper, sitting in the snow with his head in his hands. Zeller and McMillen huddled together in their sleeping bags. By the time Alfonso and Shelton returned to find them, frostbitten, near-blind and delirious in the midst of another storm, they had lost all track of their companions. Cooper was sitting near the paved road, near the trees. Janet had been taken away by the women who came on mules. The Polish Glacier from 6000 metres, byJohn Biggar [CC BY 3.0 ], via Wikimedia Commons. The weather was so bad that there was no question of recovering Johnson and Cooper's bodies until the following summer, November 1973. The American photojournalist Loren MacIntyre joined the expedition and was the one to discover Cooper, but Johnson could not be found. She was only found by chance in February 1975. One of the Argentinian climbers who stumbled upon her was Guillermo Vieiro, who had met the American party two years before. It was not until 1976 that conditions allowed her body to be taken down from Aconcagua. In accordance with her wishes, she was buried in the cemetery reserved for mountain climbers in the village of Puente del Inca. The causes of death for Janet Johnson and John Cooper have never, so far as I can tell, been officially established. Neither the judge in charge of the case in Mendoza, nor those who found the bodies, were satisfied that they had accidentally frozen to death as Zeller had claimed. Cooper's autopsy showed a head injury and a penetrating wound to his chest or abdomen. This could have been caused by falling onto his ice pick, but the ice pick was never found. Moreover, his corpse was found in a lying, not sitting, position, with one hand covering the chest/abdomen wound. His eyes were open, not closed as would (apparently) be expected in a case of freezing to death. Johnson's body also showed severe injuries to the head and face, as if she had been beaten, and her eyes were open and hands clenched. She was found on a fairly flat, rocky shelf—not somewhere she would easily have fallen down—with her ropes incompetently tied at the waist, and tangled around her feet. The two anoraks she was wearing were insufficient for the cold weather at that altitude. Guillermo Vieiro, for one, was quite sure that foul play was involved. John Cooper's personal diary, recovered from his rucksack, sheds some unflattering light on Janet Johnson's personality. He described her as strange, unattractive, not getting along with anyone in the expedition group. "At one point she asked Cooper if he wanted to be buried on the mountain," writes Jon Miller in Second Summit: Aconcagua. "She was smiling in an eerie way that turned his blood cold." Cooper further recorded that Johnson had allegedly been rejected by a lover before coming to Argentina, camping outside his door for two days and having to be removed by the police. She was obsessed with reaching Aconcagua's peak, he wrote, in order to prove to this ex-lover that she could accomplish such a feat. These revelations from the diary of a man who disliked her, filtered through the Argentinian and American presses, should be taken with a grain of salt. Johnson was described in an obituary as a dedicated mountaineer who had missed reaching the summit of Chinchey in the Peruvian Andes; the motivation of a failed love affair doesn't seem necessary to explain her determination on Aconcagua. Still, Vieiro had also noticed that the group were not gelling as a good team should. "It seemed to me that they did not get along with each other, that there was no spirit of collaboration," he wrote. I think the well-illustrated altitude sickness and delirium of the group explain nearly every part of the disaster. It's certainly not surprising that the knots in Johnson's lifeline were badly tied, considering their condition at that point. The damage to the bodies could well have been done after death, for all I know. Perhaps it wasn't. Perhaps William Zeller knew more than he let on, or more than he wanted to remember after the ordeal. At this point, though, we're unlikely ever to find out exactly what happened up there. Six of the group before their ascent of Aconcagua. Johnson is on the far left and Cooper is third from the right. Origin unknown, via Centro Cultural Argentino de Montaña. A sector that attracts attention is a very solitary and lunar plane covered with large red rocks. It is the place of Janet Johnson, a "ghost" (Janet is buried in the cemetery of the Inca's Puente del Andinista) that visits and returns often. According to mythology or history (there are more rigorous records of the theme, in this presentation we rely on the beliefs of the park rangers), Janet was a mountaineer who during her ascension to Aconcagua was killed by her husband. Influenced by passion, Janet's husband found no better solution to his neurotic conflict than to bury an ice pick on his wife's chest. Mr. Johnson, it seems, had found in another female mountaineer a more heated tent. This is the kind of stories that abound; once witnessed a story like this, few will want to stay in the place.